I hope today finds you all well! We have been down with yucky germs all week - here's to hoping we are on the mend! Today's letter will be short and sweet! Today kicks off our Super Bowl savings weekend! Friday February 2nd & Saturday February 3rd for our Super Bowl Savings Sale! For every $25 spent receive $5 off your purchase! And don't worry online ladies - use code: SUPER to save too! Join us for Open Sewing sessions in 2018!! Bring a friend and bring a project! Any project is welcome! When you attend any Open Sewing session your name will be entered into a prize drawing at the end of the month. Attend two sessions and be entered twice - who knows what kind of goodies we will be giving away??!! Our next class is also scheduled! 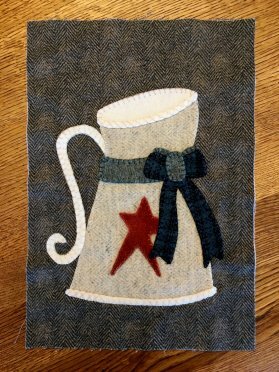 We will be making the beautiful Stargazing Table Runner! This stunning table runner is shown in biscuits & gravy fabrics but could easily be modified to fit your taste! Class space is limited so register today! 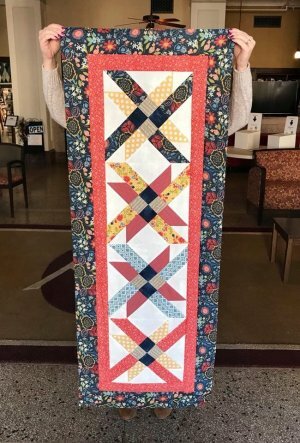 This is a great class for expanding your quilting skills - grab a friend and sign up today! If you haven't seen - the next block in the Faith, Family, Friends Mystery BOM has been released! It's not to late to join us! The pattern is available free under the files of the wool applique group for 30 days or copies are available for purchase in store. Kits are also available for $12 or $14 for the kit plus pattern. 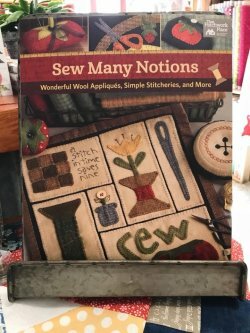 We've also got a darling NEW book in called Sew Many Notions. Jam packed with fun wool applique projects, this book is sure to tug at the wool lovers heart! 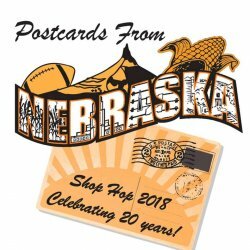 The Nebraska Shop Hop fabric is here! Who doesn't love the postcards from Nebraska theme? Featuring pictures from all over the state and post marks from many post offices across the state - this fabric will make up some fun traveling projects! Check out the fabrics here! See something you love, pre-order and reserve your fabric online with us. At the time of purchase your card will be charged, fabric can then be picked up on March 1st or will be mailed out to you! Plus don't forget to reserve your Shop Hop bag with us! Call the shop for more information or stop on in! 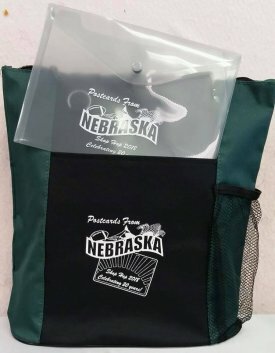 Grab a bag for $15 and get the ability to hop, Shop, and collect free patterns at ALL 30 NE Shop Hop Shops, win prizes, AND receive a 20% discount on the 5th Saturday’s of the following year at ALL 30 shops! I hope you all have a wonderful weekend! Be sure to stop in and see us to save!